US agency lists rusty patch bumble on the endangered list, as the species teeters on the edge of extinction. The United States Fish and Wildlife Service (FWS) has listed the rusty patched bumblebee as endangered under the Endangered Species Act, marking the first-ever bumble bee, and the first bee of any kind in the contiguous 48 states, added to the list. Over the past 20 years, what was a common sight across the northern part of the US, stretching from Connecticut to South Dakota and as far south as the District of Columbia, has seen a serious decline in their numbers. The rusty patch bumble bee has seen its population fall by 87 percent, and now only small patches remain in 13 states and one Canadian province. “Our top priority is to act quickly to prevent extinction of the rusty patched bumble bee. Listing the bee as endangered will help us mobilize partners and focus resources on finding ways right now to stop the decline,” said FWS Midwest Regional Director Tom Melius, in a statement. The agency’s statement listed possible causes of the decline in the pollinator’s population, including, loss of habitat, disease and parasites, uses of pesticides that impact the bees directly and indirectly, and climate change, which can affect the availability of the flowers on which the bees depend. The statement continued to say it is likely a combination of all of these factors that has brought about such a dramatic decline. The service offered steps that could be taken by the public to lessen the demise of the bees, things such as planting native flowers that bloom in the spring and fall, and limiting the use of pesticides. If pesticides have to be used, the agency says to follow the instructions on the product as closely as possible and try to limit the usage as well. They also recommend leaving grass and garden plants uncut after the end of the summer to provide winter living areas for the bees, which hibernate in the fall. 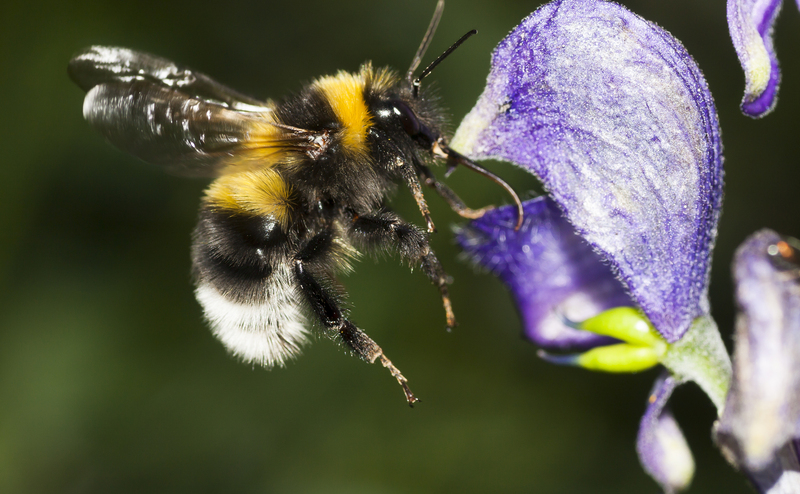 The bumble bees usually emerge early in the spring and after being dormant for so long, are ready to feed and need a constant supply of flowers to meet their needs. The listing of the rusty patch bumble bee on the endangered list appeared in the Federal Register on January 11, and becomes effective on February 10.